The last band that captured my attention like Marah in the Mainsail was Lord Huron with their 2012 release of Lonesome Dreams. Captivated with this record, I dug seriously deep grooves as I played it over and over while trying to peel back the layers of harmonic textures and complex passages. 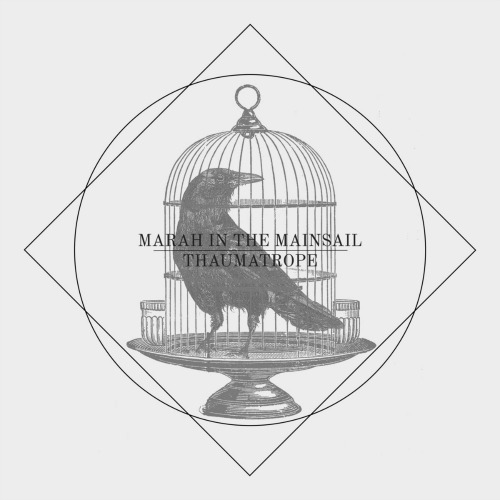 Like a repeat event of hearing that beautiful record all over again, Marah has kicked me right where it counts. This Minneapolis based band offers a deadly list of ingredients that leads to sonic enjoyment which is exactly what I’ve experienced while listening to their debut album, THAUMATROPE. By the time I reached the third track “Wendigo” I knew this band deserved serious attention. The staccato like attacks of the electric guitar was tastefully playing tug of war with my ear drums that forced me to move forward into the music, getting lost in the size of the song. Yeah, the size of the song is what this band is all about and describing the performance as cinematic is not only appropriate, it’s accurate. As the album progresses, lyrical blasts are served from Austin Durry which in my mind, invokes a tone similar to Dave Matthews. 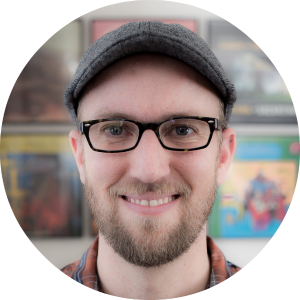 With an arsenal of grunts and growls, Austin is always playing with tones that most singers stay away from, not because they don’t want to but because they can’t. The bottom line is Austin knows what he’s doing and does it very well. However, Austin’s secret weapon isn’t what he already knows about his own range, it’s found in the extended range found in his counterpart, Cassandra Sabol. 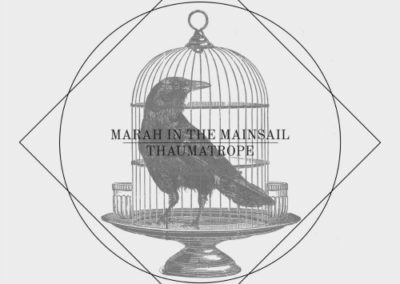 As far as this listener is concerned, her vocal delivery is needed to seal the deal of this magical partnership that lifts Marah high above the heads and shoulders of the usual Mumford and Sons copycats out there. Try taking See no Evil for a spin and if your heart isn’t beating by the chorus, you might be in need of CPR. Side stepping the limelight of lead singers, this review would not be complete without mentioning the backbone of the band. The percussion is the perfect backdrop needed to suspend the talent being displayed in each track. Making tracks sound large and open isn’t a matter of playing more stuff, it’s how and when things are played and it’s quite obvious that both of these rhythmic machines fully understand the value in this. Like painters with all the colors at their disposal, they know when and why to use the colors they have tucked away. “Clockmaker” being a perfect example, it would have been easy to throw more stuff into the mix and the impulse to overplay is traded with maturity of restraint. Less is more? Damn straight, just wait for the ending tidal wave of a chorus and if you can’t hear what I am hearing, I’ll eat my hat. The complex layers of this band must have serious glue and percussion cannot do it alone. As Northern Born kicks off, Chunky, and PHAT pours from my speakers and only a bassist that plays smart can pull this off without leaving holes in the music. Dashing in and out of the complexity, the bassist does what is needed to move this mountain without dropping an ounce of dirt on the ground. Also, just before Chunky turns to boring, a blazing trombone sizzles through the track like lightning, compliments of the brilliant John Baumgartner. Yeah, the band is great and if the attention span of most readers was longer, I could write 5 more pages just on the bass and brass being offered up for our enjoyment. Addressing the sonic potential of the record and letting the cat out of the bag quickly, it’s better than I expected and good enough to recommend to many of my audiophile friends. Pressing of the record is fine with minimal surface noise and completing the entire record without being annoyed by a crackling campfire is no problem at all. Mastered by Last Triumph studios, the record was recorded digitally in Pro Tools and sounds big, wide and open. Also, they used a lot of analog goodies during the process and there is evidence as the record plays there are a handful of inviting tones throughout the record. Regardless how well the production is, the band cannot possibly be contained in the limitations of the mastering and I won’t hold anyone accountable for this conclusion. Solution? See them live. Highly Recommended and the band to watch in 2017.